Manhwa and Manhua are a lot like Manga but they come from South Korea and China respectively; and carrying the added benefit of usually being in color. Sound interesting? 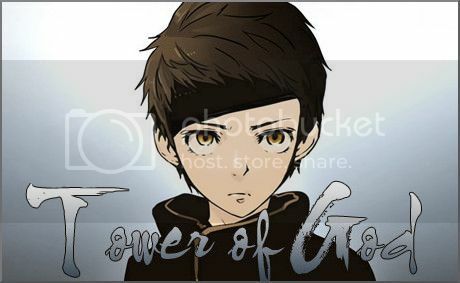 Good, because today we present to you three Manhwa for your reading pleasure: Tower of God, God of High School, and The Legendary Moonlight Sculptor. Learn about each series and see where you can start reading and discussing them below. Where to discuss: Our Tower of God community section. The world of Tower of God is built upon a simple promise. Atop the tower your wish will be granted. No matter what you want, it's there waiting for you at the top. If you can reach it, that is. Many attempt to pass the deadly tests on each floor necessary to climb the Tower, each chasing after their own dreams and desires. And when the person who means everything to a young boy named Baam abandons him to enter the tower in order to pursue her dream, it will lead him to places he could have never have imagined. It's a story about an innocent boy entering a dangerous world. How will the Tower change him? How will he change those he meets along the way? Tower of God is without a doubt one of the biggest series in Korean comics. Its complex floor tests, deep world, lethal battles, and colorful characters have found a large fan base for good reason. It's also one of the most creative series out there, drawing elements from a wide variety of settings and genres and pitting them against each other in tests, each with their own rules and objectives. All of that comes together to create a story unlike almost anything else and is very much worth reading. Where to discuss: Our God of High School community thread. In Korea a mysterious tournament is being held to for the best young martial artists from all around the world. Among those to receive an invitation is Mori Jin, a gifted 17 year old Taekwondo practitioner who has never lost a fight. At least until he challenges the person who delivered his letter and receives his first loss. Picking himself up he, along with many others, set out to discover how strong he really is. This series is pure action. A wide variety of colorful characters with martial arts themed superpowers fighting it out in classic battle manga style. 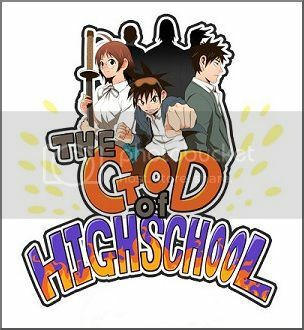 God of High School takes the shounen battle tournament, that has become something of a genre staple, and turns it up to eleven. The fighters are insanely powerful. The battles are awe inspiring. And the property damage is considerable. It also features a fairly light and fun tone to go along with it's colorful artwork. This is great read for fans of battle manga and martial arts series in general or just anybody looking to find some cool fights. 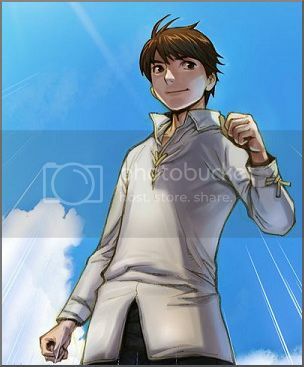 Where to discuss: Our The Legendary Moonlight Sculptor community thread. In one of the most popular MMORPGs of it's time, Continent of Magic, there is a legendary user known as the God of War Weed. When Lee Hyun, owner of that account, decides to sell it only to have most of the money taken by loan sharks, he decides he will earn money through MMOs once again and enters the world of a new up and coming virtual MMORPG called Royal Road; and a new legend is born. This is an adventure comedy based off of a highly successful series of web novels by the same name. The focus is on one very strange person's hilarious adventures through a virtual MMO world. Just like in the web novel it's adapted from, Lee Hyun is one of strangest characters you'll come across. Having lived a life of poverty has turned him into one of the cheapest and greediest heroes you've ever seen but, since it's all trying to provide for his young sister, he also comes across as one of the most selfless. His actions and interactions with those he meets in the game are great in both the Web Novel and Manhwa. The Manhwa adds to the story by using simply incredible artwork to help tell the story. So, whether you're looking for a funny adventure or just want to see some amazing artwork, this is a series you should check out. Glad you liked it! My cult of Androssi worship needs more members. And a general FYI. Links to the various series and relevant forum sections were somehow broken by change to new forum software. They are all now fixed and should work properly.